Hurry though, the competition ends on 14/12/16. 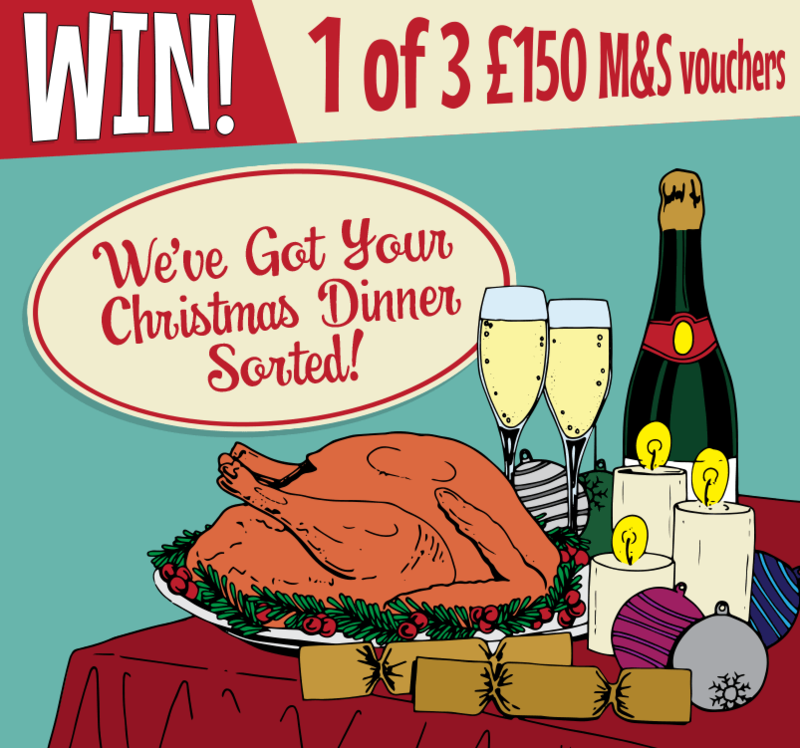 Don’t miss your chance to win 1 of 3 £150 M&S vouchers. Thanks for your enquiry, we have emailed you. Excellent service from ordering to delivery would recommend to anyone. You spoil us, espares! A vast range of spares and advice on how to use them to save us money all year round, now you save us even more by supplying Christmas Dinner! What a happy relationship this is! Merry Christmas one and all! ESpares are always reliable with fast delivery and an extensive range of spares. Always receive excellent service and fair prices for quality products. Excellent service at all times. The videos are very helpful. Many thanks. Always good service, hope I win the hamper. All my orders have been dealt with promptly and any issues or returns I have had were easy resolved. Good service . Wonderful company to deal with. Always my first port of call for a host of excellent products. allways my first port of call for my spares , thanks and keep up the good work . Have used eSpares a couple of times. Great service. Thoroughly recommended. Excellent company, so helpful with video guides for help fit items you buy. Espares are always our first stop for spares, great stock, helpful, good service and very competitive prices, why would we go elsewhere! A first class company to deal with. Best possible prices and speedy services. No one else comes close. Your helpfulness is immense, from range of spares to videos on how to fit/use them – Merry Christmas! Your eSpares dishwasher basket wheels have given me years more use. In my model the repair man said it was too old, and no spares were available – buy a new one! eSpares have saved me considerable expense and your advice on home repairs are much appreciated. All the spares for your appliances direct from your armchair. Reliable company, easy to find correct parts, prompt delivery. One of the most helpful company’s I have ever used. I highly recommend them. I love espares! Great choice, great prices and great delivery. Can’t fault them and can only recommend them (as I have done to my family & friends)! Excellent service, would recommend, prices are competitive . A superb service with easy ordering and quick delivery. Local repair shop said the kettle element was no longer available but you had the bits as usual. Keep it up! The Christmas light I bought off you recently were excellent quality, thanks a bunch. Excellent speedy service. No complaints. Excellent service from ordering to delivery, brilliant website. Really like the ‘how to’ tips & advice, will always use e-spares. Brilliant videos. You have saved my bacon so many times. Service, excellent. Price match, excellent. Excellent website. Easy for ordering and quick service. Videos very helpful. E-spares are always the first place to look if you need a part replacing in the house. I’ve recommended the site numerous times. Fingers crossed. I was impressed with the speed of response and delivery and the help offered through the online videos. I would recommend your service without the slightest hesitation. 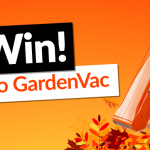 I am totally blind and my screen reader couldn’t make much sense of the pop up entry form, it couldn’t find any questions to answer, so I think I should win a consolation hamper for not being able to enter. Well if you don’t ask, you don’t get. Xmas Wishes to eSpares. Tom Lorimer. Sorry to hear you had problems entering our competition. I have entered you now, so you’re in with a chance of winning. Always brilliant when I need a small part to fix something and get it going again, and super speedy delivery – thank you !! with a vast amount of parts and experience to go with it. Best place to look for that certain something which you can’t find anywhere else. Have bought all sorts of stuff from “e spares” Especially stuff to clean out my coffee machine, dish washer and washing machine; BRILLIANT! A merry Christmas to all @ espares. Being a bit of a Techno Phobe always wary of buying online, but Espares make easy and quick to carryout all those little repairs around the home. Now the first place I look for parts and accessories. If I have a problem with a domestic appliance espares are my first port of call. Firstly to look at the excellent videos to determine the fault and whether I can fix it myself and secondly to order the part and benefit from espares speedy delivery. Thanks espares – can we fix it…yes we can! Thanks for your service over the past year. You’ve saved the day in a couple of occasions! You are the best for all my spares. And a big thank you for the pretty decent £10.00 discounts sent to me from time to time. Long may you continue. Easy, efficient and unbeatable prices. Please Continue and don’t ruin it by getting too big! My “go to one stop shop” for all domestic appliance related spares and accessories, don’t now what I’d do without you now! 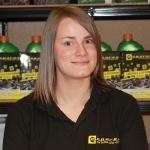 Espares are always my first port of call when I need help to fix something or just vacuum bags! First point of call for any spare parts needed; can’t beat price, range of products or service. I ALWAYS come your way when I need any spares item. Thanks for a great service with competitive prices. espares has video always been one of the best places I have found for spare parts and the videos on how to do the repair are excellent. I would always recommend espares as first choice for parts and help. Fantastic service…. always have what I need from light bulbs to water purifiers. Always very helpful and such a prompt delivery service when I’ve ordered parts! Thank you espares! Espares are always my first port of call when I need help to fix something. Great website for great deals on many consumables. Great delivery times as well. Found espares always very helpful and come up with the goods when required. First class company to deal with. Would recommend always. New to the delights of eSpares. Very impressed with what I’ve seen so far. My stuff arrived as described, including a great discount deal on a new Bosch toaster…such an improvement on the dead one. great company great service speedy delivery. This would certainly sort us out for Christmas! Mmm wonder if I can find a replacement freezer drawer, managed to snap mine. We’ve got over 2400 fridge and freezer drawers so hopefully we’ll have yours! Just remember to have the model number of your appliance handy! 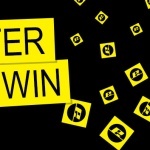 I’ve entered your competition for an M&S voucher, thank you!